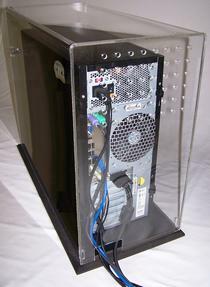 Our Dust-Free Computer Enclosures, Dust Free Server Enclosures and Dust Free Computer Cases protect PCs, Servers and other electronics from Computer Dust and Dirt. The latest in Infection Control. Protect patients from toxic dust emitted by computers. Ideal for people with compromised immune systems. 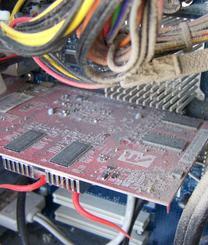 Dust and Dirt will clog your heat sinks and damage hardware. 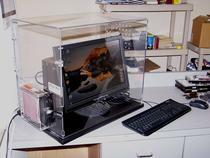 Protect your PCs, Servers and other electronic equipment with our Dust-Free Computer Enclosures. 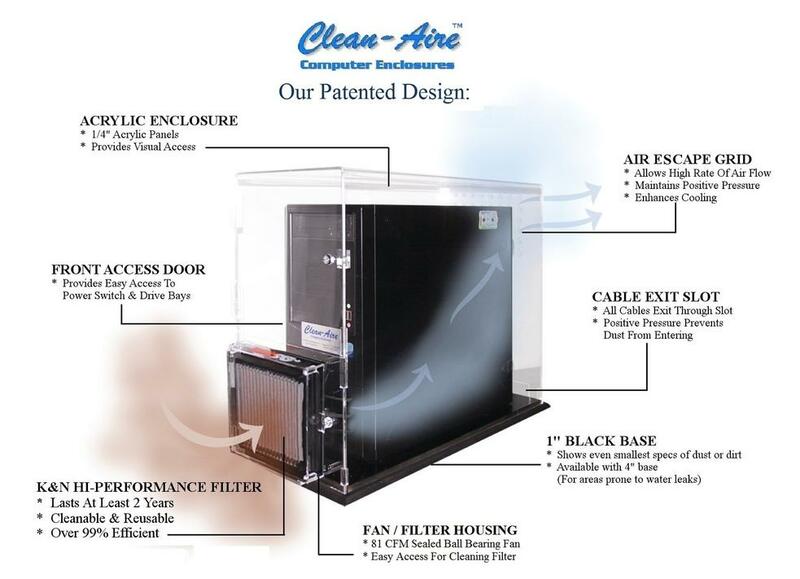 Our Clean-Aire Computer Enclosures are the most practical and cost-effective Dust-Free Computer Enclosures on the market. Click here for Pricing Information. Protect Computers From Dust! 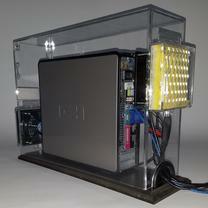 To order your Enclosures or to receive a quote, please email us at sales@commercetech.net, or call us at 951 407-1500. Our patented design provides the ultimate in computer dust protection. Copyright © Commerce Technologies LLC. All rights reserved.